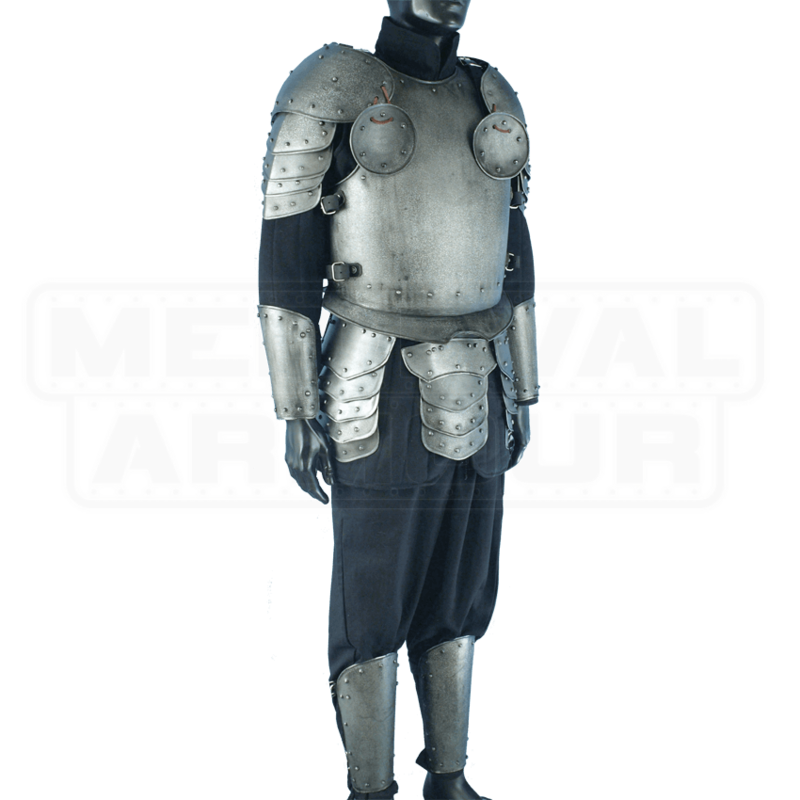 For the medieval fighter who never knows where the next adventure will lead, the Dark Warrior Complete Armour Package - Size Medium raises your defense during combat. Face the unexpected, while under the protection of this set. A breastplate and backplate guard the torso. Pauldrons with articulated plates and besagues cover the shoulders. Bracers and greaves protect the forearms and shins. A tasset belt guards the hips and upper thighs. Crafted from 18-gauge steel, the armour possesses a dark metal finish, coated with a special rust resistant treatment. Leather buckle straps secure and adjust the fit of each piece. Rolled edges and rivets increase the deflection capability. 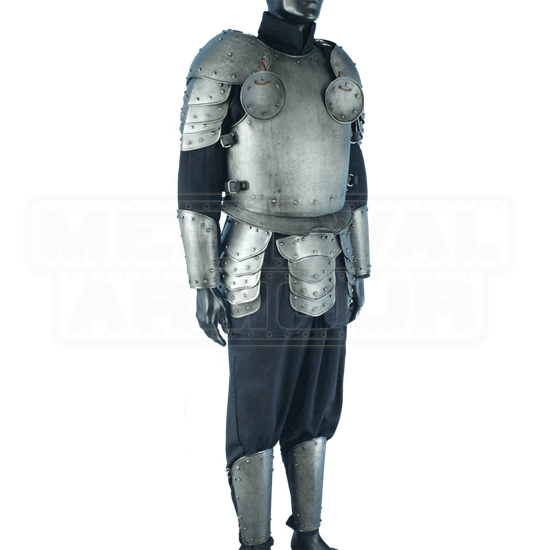 Whatever role you choose at your next LARP event, the Dark Warrior Complete Armour Package - Size Medium will prove its worth. I just bought this armor last week on Saturday, got it today on Wednesday. It all fits perfect, I'm not a large guy but I'm not small either, so this was perfect for me. All of the measurements were spot on, all in all it was a great experience. I can't wait to try it out on the field.